Now a major motion picture starring Cole Sprouse and Haley Lu Richardson! In this #1 New York Times bestselling novel that’s perfect for fans of John Green’s The Fault in Our Stars, two teens fall in love with just one minor complication—they can’t get within a few feet of each other without risking their lives. Can you love someone you can never touch? Stella Grant likes to be in control—even though her totally out of control lungs have sent her in and out of the hospital most of her life. At this point, what Stella needs to control most is keeping herself away from anyone or anything that might pass along an infection and jeopardize the possibility of a lung transplant. Six feet apart. No exceptions. The only thing Will Newman wants to be in control of is getting out of this hospital. He couldn’t care less about his treatments, or a fancy new clinical drug trial. Soon, he’ll turn eighteen and then he’ll be able to unplug all these machines and actually go see the world, not just its hospitals. Will’s exactly what Stella needs to stay away from. If he so much as breathes on Stella she could lose her spot on the transplant list. Either one of them could die. The only way to stay alive is to stay apart. But suddenly six feet doesn’t feel like safety. It feels like punishment. What if they could steal back just a little bit of the space their broken lungs have stolen from them? Would five feet apart really be so dangerous if it stops their hearts from breaking too? 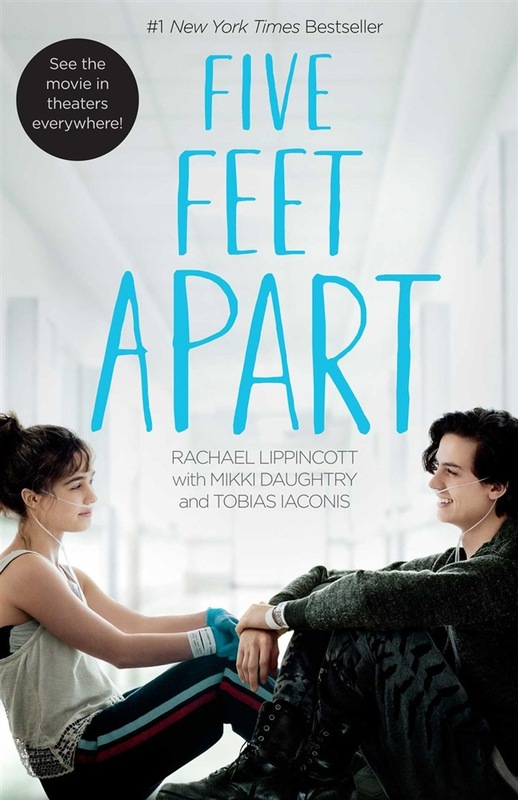 Acquista Five Feet Apart in Epub: dopo aver letto l’ebook Five Feet Apart di Rachael Lippincott ti invitiamo a lasciarci una Recensione qui sotto: sarà utile agli utenti che non abbiano ancora letto questo libro e che vogliano avere delle opinioni altrui. L’opinione su di un libro è molto soggettiva e per questo leggere eventuali recensioni negative non ci dovrà frenare dall’acquisto, anzi dovrà spingerci ad acquistare il libro in fretta per poter dire la nostra ed eventualmente smentire quanto commentato da altri, contribuendo ad arricchire più possibile i commenti e dare sempre più spunti di confronto al pubblico online.